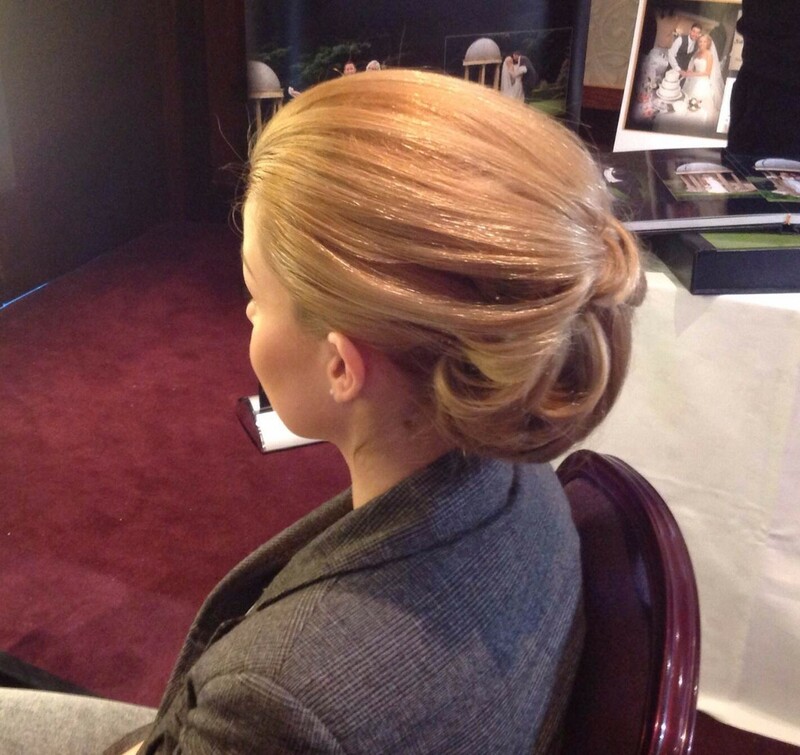 Stay Put with Claire Byrne on your big day. Claire will come to you at your home or the venue you are getting ready at. Claire has over 20 years' experience in hairdressing ten of which were in management at an award winning city centre salon. 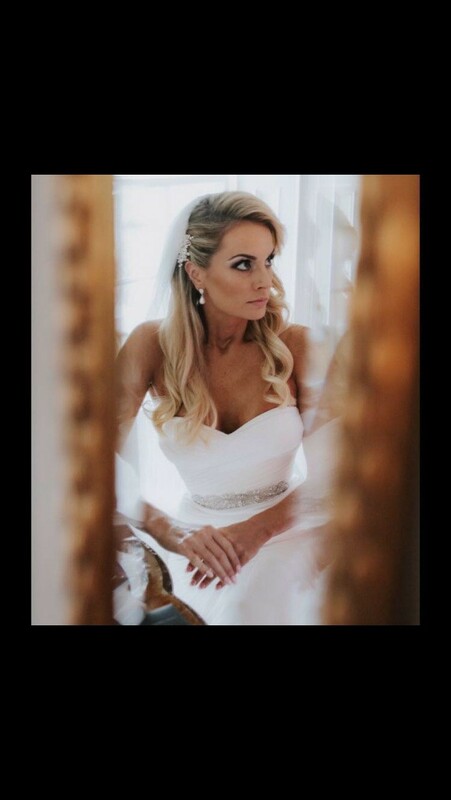 Claire has styled the hair of some of Ireland's top models and TV presenters, as well as corporate clients and Bridal parties. She will come to you in the lead up to your wedding for a full pre-wedding consultation and trial. Using her extensive experience and expertise, she will advise you of the best way to schedule the morning of your wedding so everything runs smoothly. At your trial she will address any queries or concerns you have and will ensure you are 100% happy with your chosen style. On the morning Claire will arrive at your home or venue early and will stay with you until you are ready to walk out the door. She will take care of all you hairstyling needs in a manner that allows you enjoy those precious moments with family and your bridesmaids in the last hours before the wedding. Claire was brilliant - not only did she do beautiful hair for myself, bridesmaids and mother of the bride (which stayed put all night through a lot of dancing!) she was also great with advice in the run up to the day. She accommodated a last minute change of style for me and it looked great! She kept us all very calm on the wedding morning making it a very enjoyable experience despite nerves!! I highly recommend Claire as a wedding hair stylish because she is brilliant. She was very flexible and came to my place for the trial, and she did only one try and got what I wanted for my wedding. On the wedding day she did the hair for my wedding party, and all the girls were happy with the result. My hair last the whole day, even after being outdoors for the pictures session on a very windy day. Thank you so much Claire for all your help. Take care!! I could not recommend Claire more, she was fantastic from start to finish! She didn’t only do our hair on the day of the wedding, she also did my extensions and colour before it! At the trial Claire only had to do my hair once as she got what I wanted spot on the first time! On the day of the wedding Claire was so lovely to have around, such a calm, relaxed person who made us all feel at ease. All the girls picked their own upstyles and each one was beautiful! And my mum had a lovely curly blow dry done which was perfect! I can’t thank Claire enough! Claire was great to deal with and so helpful from the first time I got in touch. Claire listened to what I wanted and it turned out even better than expected. The bridesmaids and my mum were all delighted with their hair on the day as well. We danced the night away and not a hair moved out of place! Would highly recommend Claire. Claire was absolutely amazing. I was in a real predicament when my original hairdresser pulled out on me and Claire helped me out. Her work is amazing and I loved how my bridesmaids and how I looked on my wedding day. I genuinely loved having her there on the morning of my wedding as she was so lovely. I can’t recommend her enough. Claire was just so wonderful to deal with from the moment I contacted her. She was very understanding and provided lots of great advice at the trials I had with her. On the day, Claire arrived very promptly and was so efficient in getting my hair, my mum's and all the bridesmaids done on time. We were all delighted with our hair on the day. I wouldn't hesitate to recommend Claire to any future brides. Claire was an absolute dream to work with right from the start. So down to earth and so helpful with tips for the day (qtip in the bouquet!!). Very accommodating for arranging trials and works with you to get the look you want. Has her timing down to a T which is important on the day. Loved how my hair looked and the girls&the mammy were thrilled with theirs. All four lasted all day right through the dance floor! Could not recommend Claire more! Extremely grateful for her professional service and she was a great addition to the wedding morning buzz! Claire was great to deal with and so helpful from the first time I got in touch. The bridesmaids and myself were delighted with our hair on the day. We danced the night away and not a hair moved out of place. Claire was amazing from start to finish in every aspect of the day. She was so professional and really helped keep the atmosphere calm and enjoyable. We all loved our hair and it lasted all day and night. I would highly recommend Claire and anyone that has her doing their hair on their wedding day is very lucky. Thanks so much for everything! Claire was really nice to deal with from the first time I got in touch. She was really helpful in any way she could, especially the morning of the wedding! All the girls were delighted with their hair , her attention to detail was amazing and I was so glad I went with her! Planning a wedding for NYE in Dublin from Australia can have its challenges, but Claire was not one of them. She was a pleasure to deal with. Her warm personality was wonderfully calming on the morning. I loved my hair and she made sure each of the bridesmaids personality was reflected in there upstyles. Highly recommend her. I got married in November and Claire was just amazing. Our hairs were exactly what I was looking for. Her attention to detail is spot on! Claire stayed right up to the last minute and made sure all was perfect. I would highly recommend her to all Brides. Thank you for everything! I got married last Friday and to say Claire was amazing is an understatement. Our hairs were exactly what I asked for, her attention to detail is unbelievable! The morning was stressful as I was having a markee in the garden so there was loads of last minute things to get done. Claire even helped with this when she got a few minutes inbetween working her magic on our hairs. She waited until I was ready to walk up the aisle and didn't leave until she knew I was relaxed she went above and beyond. I'd recommend her to all Brides, thanks again. Claire was amazing- she really listened to what you wanted and had great ideas. I loved our hairstyles on the day- she had a theme to the hair styles, making each a little different whilst incoperating our individual needs. Our hair still looked great at the end of the day- despite hours on the dance floor! Hi Lorna, thanks so much for your review I had a ball with you and the girls hope you enjoyed the rest of the day! Claire did an amazing job for my sisters wedding day. She had done the bride and 3 bridesmaids on the morning of the wedding and our hair looked amazing and exactly as what we had all wanted and stayed in place from the early hours of the morning right to the end of a very late night. Claire is very friendly and makes everyone feel very comfortable! She goes the extra mile to make sure everything goes well for such a big day! Thanks so much for your kind words such a lovely morning with you enjoyed the giggle too! Claire, was amazing. 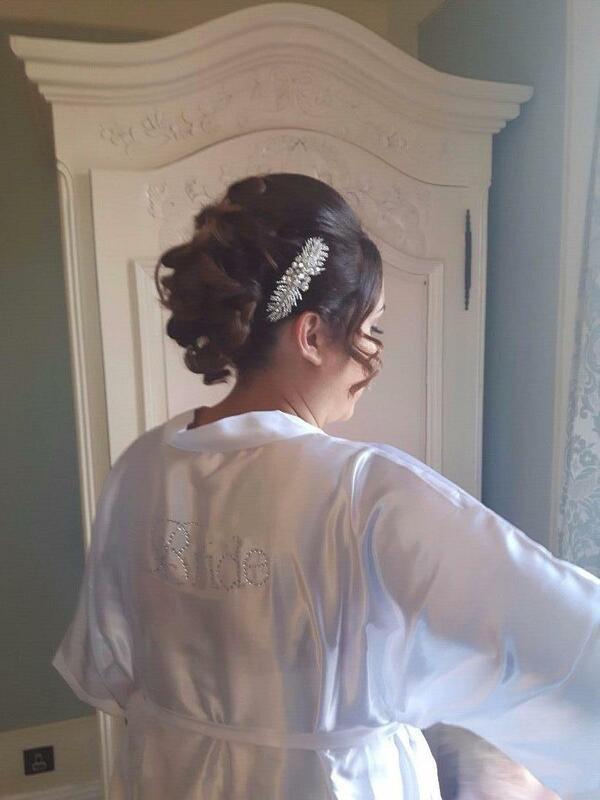 She listened to what we would like and all bridesmaid had upstyles but with little differences for what we prefered. She was great on the day, we all had great fun with her and the brides hair with extensions looked beautiful and the curls lasted all night. Thanks Claire ???? Hi Charlotte, we sure did have fun didn't feel like work at all, hope you enjoyed the rest of your day thanks again! Claire is a super hairdresser. She did my extensions and coloured and cut my hair in the months running up to my wedding. I was just thrilled with mine, the bridesmaid’s and my mum’s hair on the day. It really did ‘Stay Put’ for the whole day. She is so professional and easy to deal with. She always gets back to you promptly and provides good advice on what will work best. She’s great craic too so really added to the fun and excitement that morning. I’d have no hesitation recommending her to other B2Bs. Hi Jane, thanks so much. You and your party were great craic also. Such a lovely morning with you all. thanks again. From my first contact with Claire she was exceptional. She was so professional and really added to the mornings preparations with her relaxed and calm approach. Claire is so talented and had my hair in great condition for the big day. She coloured and treated my hair in advance of my wedding and to this day I will only have Claire look after my colour. I cannot recommend her highly enough. I was so fortunate she was available on the day. Thanks a million. Thrilled your hair lived up to your expectations. I had a lovely morning with you all. Thanks Claire for doing mine and my bridesmaid's hairs on the morning of my wedding. You were a true professional from start to finish. You gave us so many ideas when we met you first for our hair trials. I thought it would be so difficult as my bridesmaids each wanted such different styles, but you were able to look after each of us all individually and understood exactly and were able to perfect the styles for us. We danced the whole night long with not a hair out of place! Claire really added to the morning of our wedding, coming to our venue, everything was stress free for me, with plenty of giggles putting us all at ease. I couldnt recommend Claire highly enough. Hi Emma, thanks so much! We did have plenty of giggles indeed. Hope you enjoyed the rest of the weekend. Claire was amazing so so professional! Weddings are stressful but I had 100% faith in her. I told her what i want and it was exactly how I wanted it an more! Thank you so much Claire. 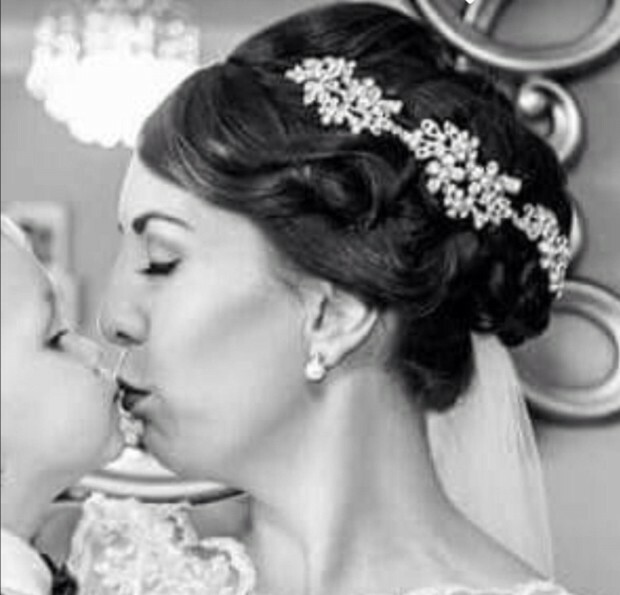 Every bride should go to Claire! Hi Michelle, tks so much for your lovely words it was my pleasure to look after you all such a lovely family and a great breakfast too! Claire has done an incredible job for me and my bridal party, everyone couldn't stop swooning about how gorgeous the ladies' hair were! Claire was more than patient in explaining the hairdo and made tweaks to ensure everyone was pleased with their styling. On top of that, Claire was very accommodating with my trial date given that I had to travel back from London which really limited my options. I'm absolutely delighted with the services and can't recommend Claire more to anyone looking for a bridal hair stylist! I have used Claire for a number of weddings. She is friendly, professional and full of new ideas. I have always been thrilled with how my hair turned out and how long it has stayed in. I would highly recommend Claire to any Bride or first at a wedding. Hi Marylin, tks so much. Hope the rest of your day went well. Claire was lovely and able to adapt to the style that i wanted my hair got loads of compliments on the day and she was really quick I'm the morning. She was also great value and has lots of experience. Claire is an absolute professional and was incredibly helpful, flexible and full of great ideas in the run up to and on the day of the wedding. The hair styling was stunning and we spent the whole morning laughing with Claire, she put us all so at ease. Would recommend Claire to anyone! She's brilliant. Hi Chloe, I had such a fun morning with you all tks so much for choosing me to be a part of your big day! Claire did my hair for my wedding 2 weeks ago and she was an absolute pleasure to work with. She really listened to the style I wanted and was so helpful in giving advice. She is extremely talented in what she does and will completely exceed your expectations!!! She is very professional and was so helpful and calm on the day, she even helped my mum do her make up!! I cannot recommended Claire highly enough,she is so creative and does wonderful boho styles. My family would give her 10/10 without a doubt???? Claire is absolutely fantastic at what she does. She coloured and cut my hair on the lead up to my wedding, she also put in extensions, which are still perfect 4months later!! She was an absolute pleasure to deal with, she always replied to me queries swiftly and professionally. I couldnt recommend Stay Put anymore, she gave 100% plus some more. The night before my wedding she popped up and put curlers in my daughters hair , just to make sure the curls lasted the whole day. 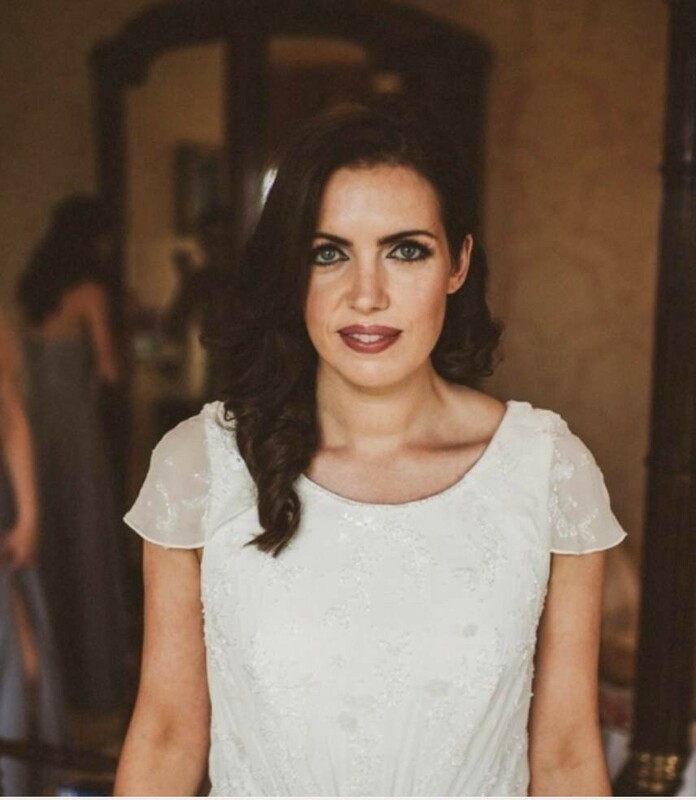 Claire arrived early on my wedding day, her cool and calm attitude put me at ease straight away, she done everyones hair so swiftly and they didnt budge for the day, once again she went above and beyond her job and stayed to help my bridesmaids put on my dress (there was about 1000tiny buttons). Everyone complemented my hair all day, I honestly can't thank Claire enough for how much she helped me before and the morning of my wedding. If Claire's available to do your wedding grab her you won't get anyone better! Claire came to me for a trial, I felt comfortable straight away. She took her time going through pictures and what styles would be best with my dress. On the day she was so organised and all my bridal party where thrilled with their hair. And mine was exactly how I imagined. I would recommend Claire to any Bride. From the first time i met Claire she was so friendly made me feel so at ease, listened to what way I would like my upstyle which was so refreshing as I had other trials that didn't, so I left her feeling on top of the world loving my hair. On the big day she was so lovely chatting away with everyone it was so enjoyable to get our hair done that day. She had myself and my four bridesmaids to do that morning and did an amazing job on all of our hairs even better than I had imagined. She also had time to do my mams hair all in enough time for us to have a glass of bubbly. I would 100% recommend Claire to future brides she is brillant. Hi Anne, such a lovely morning thanks again and your mam is such a lady and your Dad a gentleman had such a lovely chat with him about being a barber loved looking at all his tools! Claire was very professional in her work and also lovely and comfortable to be with, made you feel at ease. I went to Claire with no photos or any ideas of what way I wanted my hair, Claire just sat me down spent as much time as I needed and went through hundreds of photos before I even did the trial. Morning of the wedding Claire arrived well before the due time and again made us all feel at ease and very professional. I would not hesitate to recommend Claire to anyone. I was extremely happy with Claire. She did my hair (the bride), my three bridesmaids and my mother’s hair. She was very helpful and if I texted her with a question, she responded very quickly. She is so experienced and gave me some great tips for the day. I loved my hair! Thank you so much Claire. Hi Christine, loved spending the morning with you all! 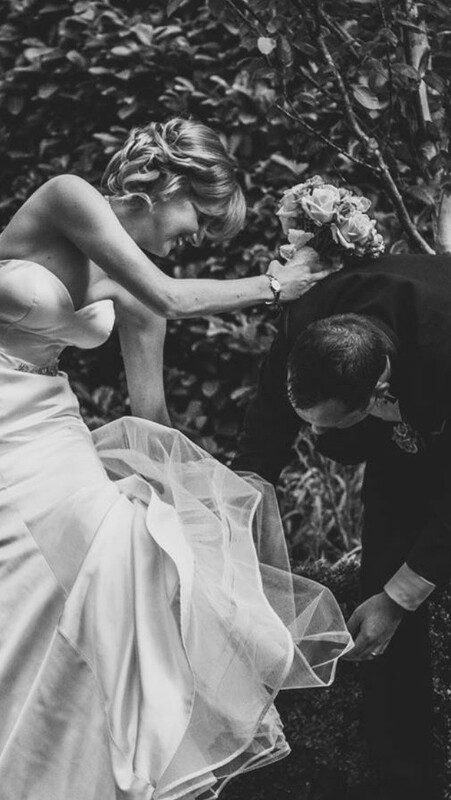 Such fun, still laughing at us using the photographers head to stretch your flower crown. 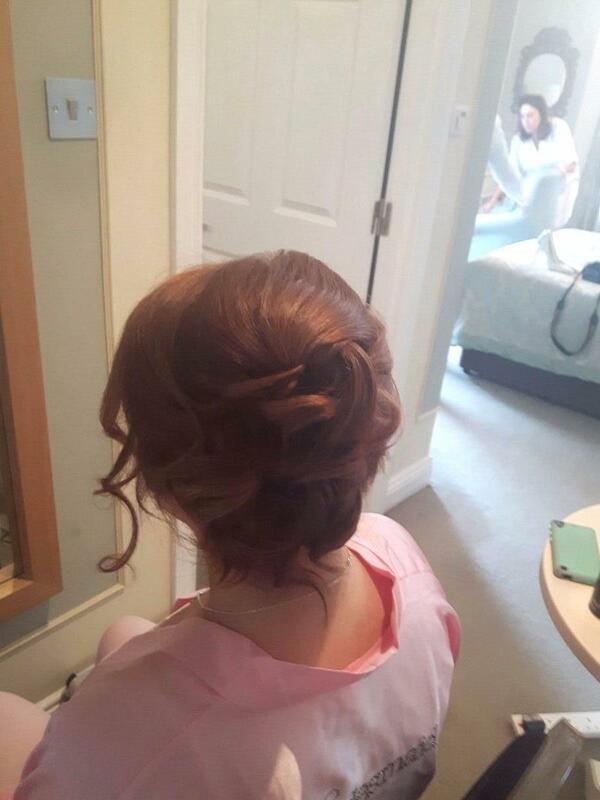 I loved my hair for my wedding day, and Claire was great to work with. She was able to replicate the look I was hoping for perfectly, and my hair held up very well throughout the day. I would highly recommend her services. I got married in May 2017 and Claire looked after my hair for the 9 months lead-up and the morning itself. To say Claire was fantastic is an understatement – she completely exceeded my expectations while understanding exactly what I wanted, and more. 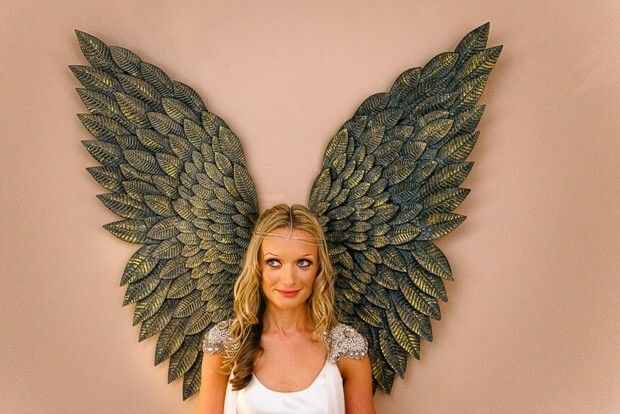 The trial styles she did for me in the lead up to the wedding were amazing but on the wedding morning I was blown away – as were my 3 bridemaids! My hairstyle even stayed perfectly in place through the night and our day-2 celebration also which everyone was still complementing on! Claire is so lovely to deal with has a very relaxed & calming effect. She is a true professional in her field, while making us all laugh & keeping the bride calm :-) My colour has never been so natural, vibrant & glossy with the selective products she uses also. I really cannot recommend Claire enough. Perfect all round. Lizanne Barnwall. Hi Lizanne, what an amazing review tks so much! Think we hit it off from the start alright you where amazing from start to finish thanks again for choosing me to be part of your big day. Claire had her hands full with me, I knew what style I wanted but i didn't articulate it very clearly, she has amazing patients. I could not have been more happy with my hair it didn't budge all day, my bridesmaids loved their hair to, great value for money I would definitely use her services again. Hi Lorraine, tks so much for your kind words. Such a lovely morning with you all and so nice to see Leona and your Mam after all those years. Small world! Claire was brilliant in the run up to the big day and on our wedding day itself!I cannot recommend her highly enough.She called out to my house a few months before the wedding to cut and dye my hair with the new Natulique natural dye (it's really lovely and conditioning).She called to my home again just before the wedding which was great as it saved precious time during that busy spell.During the trial,Claire listened to what id like and made suggestions then made sure I was happy with everything (which I definitely was! ).On the big day itself, Claire arrived early and was very organised and professional (while still being great craic and having a laugh with us).My 4 bridesmaids,myself and my mam all opted for different styles and we were all delighted with them!Claire always had a big smile on her face and was full of funny stories and really helped keep me calm on the morning,she even put on my veil and did up all the buttons on my dress at high speed at the end (as we were under pressure for time! )Thank you so much for everything Claire! Hi Ruth, we such did laugh that morning such fun to be with thank for choosing me as your bridal hair stylist it was a pleasure . Claire styled my hair for my wedding day in Oxford UK. She also provided me with a trial session to work out the best style to suit my face and compliment my wedding dress and the wedding theme. Claire provided a professional service, was punctual and very accommodating to our needs. She was a great support on the day but above all my hair looked amazing!!!! I would highly recommend her to any bride. Hi Beth, tks so much. A weekend to remember!! I flew in from Boston area to get married in the beautiful powerscourt Estate. I was lucky enough to find Claire Byrne through my wedding planner to help with me and my bridesmaids hair. Claire was very accommodating and was willing to help me do a very last minute hair trial while I was in the area. She made sure I loved every part of it and asked my opinion along the way to make sure I was comfortable. I did not pick my dress until after the trial, so ended up changing my mind on what style I wanted. I was so worried that it would cause a problem but again Claire was amazing and had no problem changing it, sending pictures back and forth, and again, making sure it was exactly what I wanted. The day of the wedding, she reviewed the pictures with me again for both my hair and the bridesmaids, she worked her magic, and we all had the best hair of our lives! I had bridesmaids with thick hair, short hair extremely long hair, thin hair, hair with the sides shaved, but I was hoping for a uniform look between them. Somehow Claire was able to make this fantasy happen and they all looked amazing! We could not have had a better experience with Claire and would recommend her to anyone that is in need in the area!!!! Claire Byrne is a wonderful hairdresser and extremely talented too. She was very patient and accommodating in all my dealings with her. Claire is prompt in her replies and offers expert advise which was greatly received by my bridesmaids and I. I highly recommend Claire and I look forward to calling upon her for her services again in the future! Hi Jen, thank you for that. It was so lovely to look after a bride you have known since primary school. Claire was absolutely fantastic to deal with. During my trial she was so patient and recommended lots of different styles! She made sure I was a 100 % happy before I left. On the day she arrived on time and was really organised and put me at ease! We had some good laughs with her that morning and really enjoyed her doing our hair. My hair stayed in place all day and was exactly what I wanted! Would have no hesitation to recommend her to any brides! Hi Leona, so glad you where happy. Thank you for your review it was a pleasure to look after you. I always knew from the off set that I wanted Claire with me on my big day to take care of my hair and of course that of my wedding party. From the off set Claire put me at ease and went through all the options available for my short hair length and prepared it well in the run up to the wedding. On the day, Claire arrived early and took everything in her stride ensuring that we all looked amazing. She stayed with me throughout the morning until I was ready to walk out the door. I would not hesitate to recommend Claire for any occasion. Hi Nikki, thanks so much for the kind words. Lovely morning with you all and best of luck with the arrival of your twins. So exciting!! Claire was a star!! We decided last minute to get a hairdresser to come to the hotel, not only did she agree to do it, she rearranged her own clients so the timing was right for us. She was a pleasure to be around, I was a little stressed but she was drama free and figured out our needs within minutes. I couldn't decide between two styles I had chosen but she helped me pick the one that would suit me and my dress best for the big day. It was amazing, I got so many compliments purely about my hair! It was plaited from one side around the back and then loose curls falling over the other shoulder. The bridesmaid looked amazing too. I highly recommend Claire for your special day, she is great company, professional and highly experienced and skilled! I found Claire to be extremely professional and excellent at doing all our hairs, I would have no hesitation in recommending her. Claire looked after myself and my wedding party total of 7 heads, I cannot recommend her enough everyone was delighted and all our hairs stayed put all day! To have Claire with you on the morning of your wedding is a decision you will not regret she is so calming professional and friendly and could not do enough to help us get ready and out the door on time! Thank you for being part of my big day and making my wedding morning so enjoyable and for having all our hairs perfect! I cannot speak highly enough of Claire. From the moment I contacted her to the moment I left for my ceremony she was a pleasure to deal with. She was so patient with me when I wanted to change my hair during my trial (she wouldn’t let me leave until I was completely happy!) and was so calm and helpful when I needed to change the style again due to a wardrobe malfunction on the morning on my wedding. I absolutely loved the styles she did for both my trial and the day itself and there was not a mirror I passed that didn’t get looked at… She even did my cut and colour before the big day so it was flawless and she brought out the inner beauty that I didn’t know my hair could achieve. 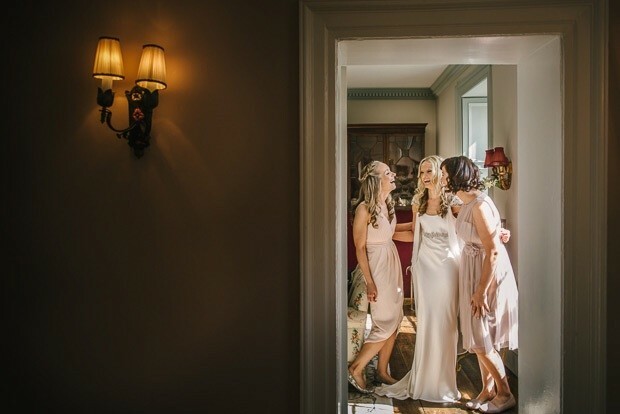 I always thought I would be nervous on the morning of my wedding but I had so much fun and Claire breezed seamlessly about the room as she did beautiful styles for me and my five bridesmaids. She had great advice about scheduling and pre-style prep so all I had to do was enjoy my morning as she had everything else covered. As luck would have it Claire lived quite close to where our wedding/reception was held and let me know before she left that if I needed anything at any point throughout the day that she was only a phone call away. One thing you can’t put a price on is peace of mind… and fun; Claire will provide both for your big day, in addition to an excellent service. Claire was amazing !!! In the run up to the wedding I was so relaxed and not worried about anything! On the day a few things happened with the hotel that were a bit stressful and Claire was so brilliant, she kept me calm and made me laugh anytime she noticed me getting stressed while at the same time doing unreal upstyles, downstyles and any style you like styles!! There were 6 of us, my bridesmaids, mom, sister and me???????? I couldn't reccomend her highly enough. I know I'm not meant to say this but it was one of my most favourite parts of the day???? Liz it was a pleasure to look after you and all the family as usual, you always make me feel so welcome hope all is well with you talk soon Claire. I was so happy with Claire as my hairstylist for my wedding. I wasn't at all sure what I wanted for the day and she was incredibly helpful during my trial giving me advice and practical tips on getting my 'do' ready for the day and what works well and what doesn't. On the morning itself she wa a total joy- all of my bridesmaids hair looked incredible and she totally made the morning for us with her good humour and helpfulness. We had a really busy house, my parents, flower girls and four bridesmaids but it was a totally relaxing and fun time thanks in small part to her total professionalism and help. I absolutely adored my hair and even after hours and hours of dancing and bopping and speeches and photos it held up and looked so elegant! Cannot recommend enough! Hi Louise, tks so much such a lovely morning and your Mam what a lady!! Thanks Jane. It was such a fun morning with you all didn't feel like work at all!!! I found dealing with Claire a pleasure, really straight forward and easy to chat with. She really understands what you want and gives you advise on styles but is also realistic about what would work for you and your hair. I would definitely recommend her to anyone looking for 5 star treatment on their wedding day :) thanks claire! Hi Roisin, tks a million anything would work with that hair so I didn't have much work to do! Claire is an amazing hairdresser, I had Claire work with me in the lead up to the big day and the day itself. Claire is so professional and talented but most importantly she is a fantastic person to deal with and good fun too! She is the ultimate professional and I have no difficulty in recommending her to others. Claire provided a full hair service for my wedding party including myself, 2 bridesmaids and mother of groom/bride. I loved every hair style and we all looked exactly how I specified. She is very professional and easy to work with and provided a top class service. Claire was so professional, patient and kind throughout the whole process. Her only goal was to ensure I was completely comfortable and happy with my hair. She brought a lovely relaxed vibe to the wedding morning. She was organised, looked after everyone and made sure everything ran smoothly. She reassured me that she could call back to top up my hair at any point during the day if I wanted and was available the next day for anyone wanting her service. I would have no hesitation in recommending Claire - I couldn't have asked for more. Claire was recommended to me as I really didn't know where to start when it comes to bridal hair. I have to say, I was so delighted I chose her! Not only was she excellent value for money but she wasn't an absolute pleasure to have as part of my wedding day. She worked so well with my make up artist and timing was perfect. She was so relaxed and easygoing which made everything easy on the morning! Claire did my hair trial a few months before the wedding, again, reasonably priced and I was delighted! What I couldn't have guessed is that my hair would be even nicer on the day itself! She really was fantastic and my bridesmaids and Mam were delighted with their styles. She stayed with me until I was ready to leave, sorted me with my veil and showed my mam how to remove it! My hair was an updo and lasted well into the residence bar! (5am). Claire is a total professional, a really lovely person and a fantastic addition to your special day. Highly recommend. Claire did an amazing job on all our hair for my wedding. I can't recommend her highly enough. She is brilliant at what she does and had loads of ideas of what would look good for the big day. Claire is relaxed and very talented which make for a stress free fun experience. My mum and both my sisters were thrilled with their hair, and mum is a fuss pot so for her to be happy was an accomplishment in itself ???? Absolutely adored the work claire did for me for both my hen party and wedding. She was able to understand my 50s style vision perfectly and really did an amazing job. Claire from Stay Put Hair is amazing and I was so grateful that she was recommended to me. Claire did a number of trials for me until I was happy, she was so professional and worked around my schedule! Claire did my hair as well as my bridesmaids and everyone’s hair was amazing and just how they wanted it! I love abroad but anytime I am back and need my hair done for a wedding I contact Claire and I am never disappointed! I would highly recommend Claire from Stay Put Hair! Claire is a fantastic hairdresser, patient and professional. Claire is a perfectionist and her attention to detail is amazing. She is so warm and friendly and makes you feel so comfortable in her company. I would highly recommend Claire to any B2B. You would be lucky to have her on the morning of your wedding.. She will have you looking fabulous!!! Hi Mary, Mrs Perfectionist herself haha!! Like being with an ole school friend we hit it off from the word go! I heard about Stay Put Hair from a friend of mine that recommended Claire for my wedding. I rang and Claire booked me in for the next day for hair trials! I immediately booked Claire for my wedding from the get go as she is so incredibly talented. Claire listened to suggestions I had and recommended styles that would suit - which I loved. Claire was so flexible in terms of changing venues to do the hair styles at such late notice. Not only is she amazing at what she does but I got amazing value for money for the number of people at my wedding party. Highly recommend! Claire was amazing from the first point of contact. Very creative ideas and there is nothing that she can't do. From the trial to the wedding day Claire was so professional and super friendly, she was like one of the family on the day and the one of the last to leave the house! I loved my hair and all my bridesmaids upstyles were amazing.. I never had to touch my hair on the day and when I took it down the next day it still looked perfect. I recommend Claire and her team highly for any occasion . She has since done my daughters first communion too. Living in the U.K. And trying to organise a wedding in Dublin was stressful. 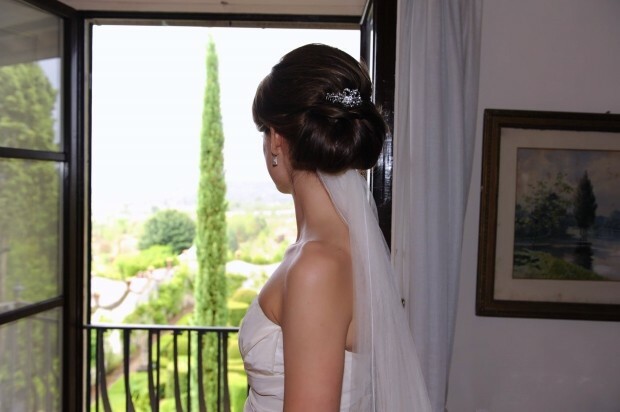 Having my hair done to perfection was extremely important to me as it is for most, if not all brides!! Claire was recommended to me and I am so glad she was. 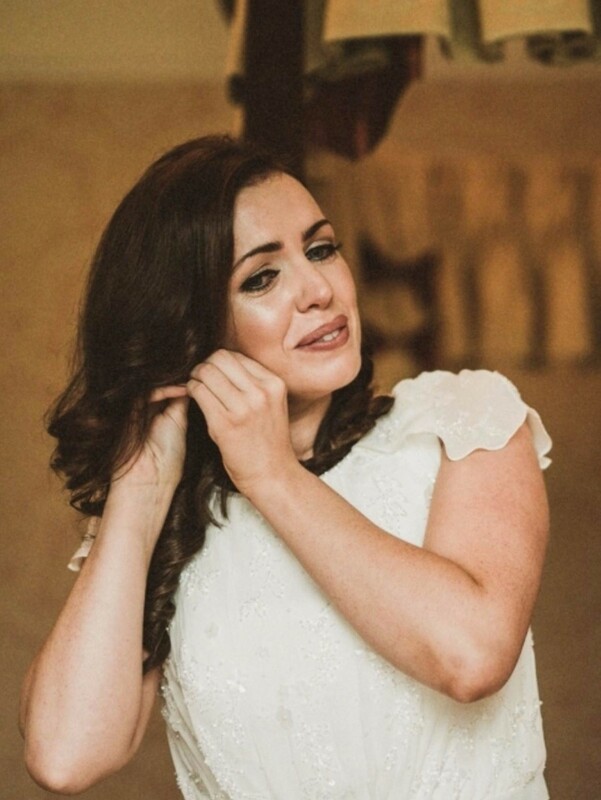 When I called Claire to tell her I was flying home to Dublin the week before my wedding and I needed to have a hair trial,Claire did every thing she could to fit me in to her busy schedule. She is a true professional. She listened to my request and above all gave me some great advice on the hairstyle which would suit me best for my special day. On the wedding day I felt at ease knowing that I was in "safe hands". Claire is an experienced and hugely talented hairdresser. She is confident and made(what could have been an immensely stressful time) real fun and enjoyable. Without a doubt I would recommend Claire. Claire was just perfect to have doing my hair on my wedding day. Apart from being very friendly and professional, she knows her skill well!! Not only was I happy with my two hair trials, I was just blown away with my hair on my wedding day. It was exactly what I wanted. Not only did she do my hair, she did my sister's and mothers hair. They were equally delighted with it on the day. So much so my mother is always trying to recreate her upstyle for other weddings since then! I can't recommend Claire highly enough for your special day, she is exactly the type of person you need. 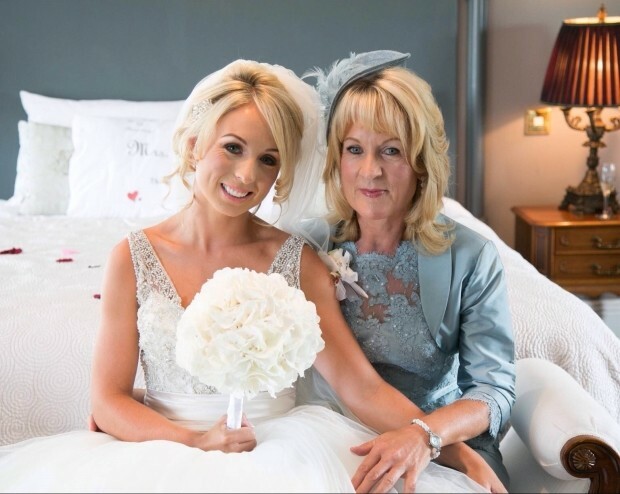 Not alone did she do everything I asked for style wise but she is professional, punctual, sociable & calm as the actual wedding morning can be a bit manic and you need someone who will put you, mum, bridesmaids etc at ease. She has all the timings down so there is never any panic. She is a true pro who has tons of experience but will listen and be patient as she's understanding to how important your day is to you. I was relaxed and had fun on the morning with Claire and my bridal party and that's the type of energy you need around you as you want to enjoy it. Claire also did trials leading up and took on board everything I wanted and gave good advice for styles for my bridesmaids. I felt amazing and loved the results on the day. Thanks so much Claire. Claire has been doing our hair for just over a year now and she has been the best find we could ask for. She is everything you want from a hairdresser- reliable, creative, affordable and highly experienced at what she does. Would recommend her and her services to everyone. She listens to what you want and makes you feel at ease as she works away in a relaxed environment. 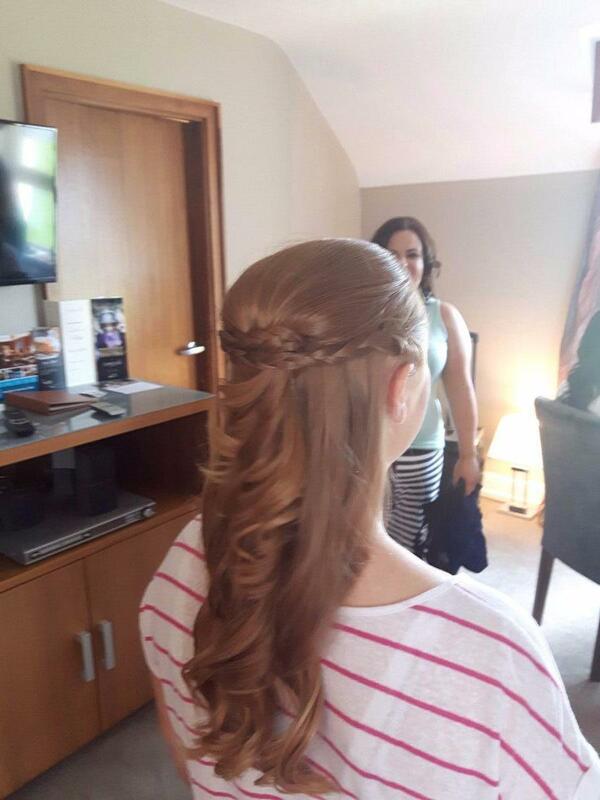 Hi Sarah, always a pleasure to do your hair and it makes it more special to do a regular client's wedding day. Tks again for having me as part of your big day. Claire is amazing at what she does. From the first meeting she understood exactly what I wanted for my hair on my wedding day. She brings a great sense of calm on the wedding morning, and I was delighted with mine and my bridal party's hairstyles. It's been almost 4 years since I got married and Claire still cuts and colours my hair now. Would highly recommend. 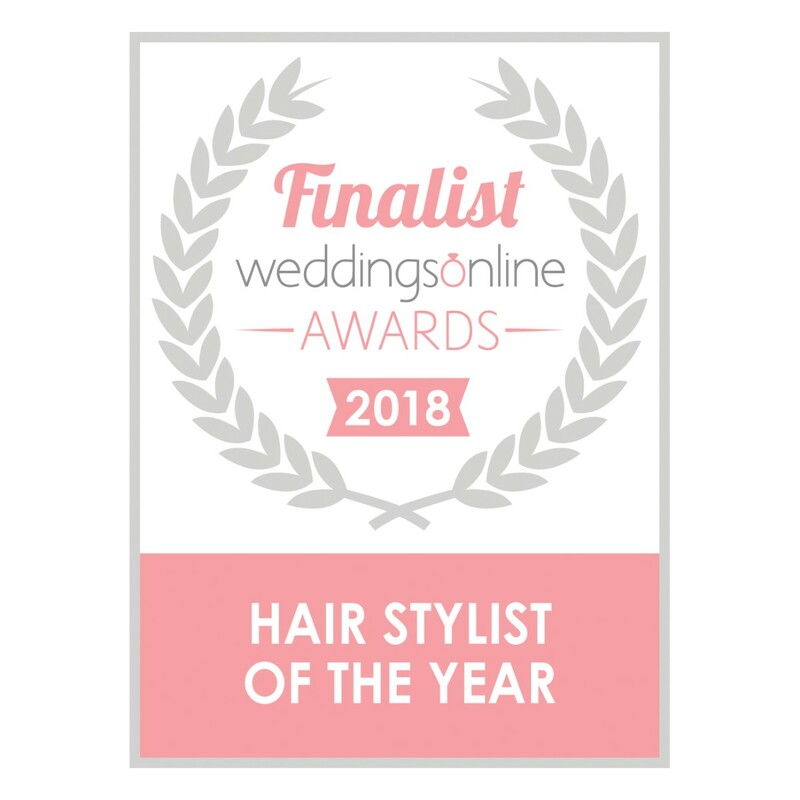 I have been going to Claire for a number of years and when it came to planning for my big day, there was no other person that I would trust more with my hair than Claire. She is exceptionally accommodating and so easy to work with. Claire had such great ideas to complement my original plans and she transformed my hair from nice to true perfection on the day. Claire done my mum's and my bridesmaids hair as well and they couldn't praise Claire enough. The hair styles were intricate but held off all day till the early hours of the next morning with no issues whatsoever. To this day I can't thank Claire enough for making me and my wedding party look so beautiful on the most important day of my life. And on a personal note, Claire this nomination has been well overdue for you and there is no better person in my eyes to win this! Claire was amazing on the day of my wedding. She has a lovely calming effect on everyone. My hair was exactly how I imagined it would be. She also did my bridesmaid flower girl and my mother, who were all delighted with the hair not a moan out of them. Claire made sure she arrived early enough to get us all done, so we were able to enjoy the whole morning like your supposed to without the panic. Claire would always be my first choice and I can't recommend her enough. Claire did an amazing job on my hair and all of my bridesmaids. We had photos of the look we were going for and Claire absolutely nailed it. I was one happy bride on the day and got so many compliments on my hair from guests and friends. I went for clip-in extensions on the day and was a little nervous that they might look a bit false or too much but Claire made them look so natural that nobody guessed I was wearing extensions -not even my husband :-) Claire is a complete professional who ensures that everything runs smoothly the morning of your wedding. I would highly recommend Claire to be your hairdresser for your wedding. My whole experience with Claire Byrne was exceptional. She was so professional and accommodating in terms of my hair trial and the wedding day itself. She was so relaxed and calm and made the the whole wedding party really relaxed and made the morning so much fun. Claire is so talented and did a brilliant job with my hair and my bridesmaids hair. I was absolutely thrilled with the way it turned out and looked amazing in the photos! I cannot recommend her highly enough. Hi Angela, tks so much for your kind words it was a pleasure to look after you all such a fab morning! Claire was such a pleasure to be around both in the run up to and on the morning of my wedding. It's a wonderful day but it can be emotional and just a little stressful. She was calm, she was fun, but most importantly she's a fantastic hairdresser! I don't think there's a style she can't do. Because I was so unsure about what way I wanted my hair I pretty much left it in Claire's hands and wasn't disappointed. Myself and my bridesmaids really couldn't have been happier. For a professional service with wonderful results, I wouldn't hesitate to recommend Stay Put Hair! Claire did a fantastic job on my day. She is very professional and helpful and nothing is too much trouble. Claire was an absolute pleasure to be around the morning of my wedding! Her advice from the off set was great and the hairstyles where exactly what I asked for. I'd have hesitation in recommending her to any future bride. Claire is a wonderful hairdresser with plenty of patience, she is a perfectionist and only wants the best for you on your wedding day. Loads of recommendations and different styles were tried but at the end of the day she is a good listener and ultimately you never feel pressured into something you don’t feel comfortable with. She gets it right all the time and you leave feeling great. Months of preparation went into my hair, cutting and colouring ensuring it was in the best condition, indeed she had to match it up to the hair extension she was putting in but she impressively did this no problem. My hair looked amazing and everyone commented on it. However I can’t take all the glory she treated my bridesmaid , my flowers girls and my mum exactly the same, which I really appreciated , after all you want everyone looking great and she got it right. She worked her magic on us all and I can honestly say our hairs were fantastic for the day it really did stay ‘Stay Put’ . She is a specialist at being professional in her job, she seems to love what she does and did I mention already that she listens to you which is so important ! I’d have no hesitation recommending her to other B2Bs. I am so particular and fussy about my hair, I struggled to find a hairdresser that I was comfortable with for my wedding day, and then I met Claire. Claire was so amazing, she made my morning stress free, she made me feel very comfortable and confident in choosing her. She was so professional. I couldn't have asked for more. I loved my hair. I would highly recommend Claire, I have no regrets and I am very grateful that she was part of my day.